If you like art and especially painting, there will be a very nice "exhibition on screen" on April 7th, Protected content the cinema Odeon (Severinstr.) 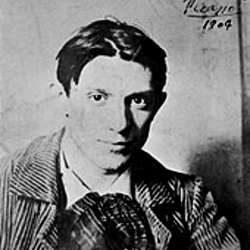 about Picasso. The "exhibition on screen" will start at 11:30 (usually it starts on time, no advertising), so please arrive before if you want to secure good sits. Therefore I really recommend you coming at the opening time of the cinema, meaning at 11:00. It is also an opportunity to have a coffee or tea before the exhibition on screen starts. The "exhibition on screen" should end at about 13: Protected content , so we can go for lunch after.